Antiretroviral therapy (ART) has revolutionized what it means to have the human immunodeficiency virus (HIV). The diagnosis is no longer a death sentence and people can live practically normal lives when using their medications properly. Health conditions naturally arise with age, but a new study found that those with HIV prematurely age by half a decade. “We’re no longer as worried about infections that come from being immunocompromised. Now we worry about diseases related to aging, like cardiovascular disease, neurocognitive impairment and liver problems,” one of the authors Howard Fox, MD, PhD, professor at the University of Nebraska Medical Center (UNMC), said in a news release. It was around this time last year that researchers found that HIV accelerates the risk of other illnesses by 14 years. 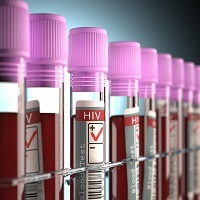 Now a collaborative team from the University of California (UC) San Diego School of Medicine and UNMC uncovered how HIV ages patients on a cellular level. To do this, the researchers looked 137 patients with HIV on combination ART who were enrolled in a previous study. The patients did not have any other health conditions. They were compared to 48 HIV-negative controls as well as another 48 people who were either HIV-positive or -negative. Epigenetic changes in cells influence the DNA structure, but not the sequence. These changes are passed down from one generation to the next and impact the genes. Methylation has proven to take place across the entire genome changes in previous studies. This was reaffirmed in the UC San Diego-UNMC research. The team found that HIV advances biological aging, on average, by 4.9 years. In addition, these patients have an increased mortality risk of 19%, as described in Molecular Cell. “Another thing that was surprising was that there was no difference between the methylation patterns in those people who were recently infected (less than five years) and those with chronic infection (more than 12 years),” Fox continued.